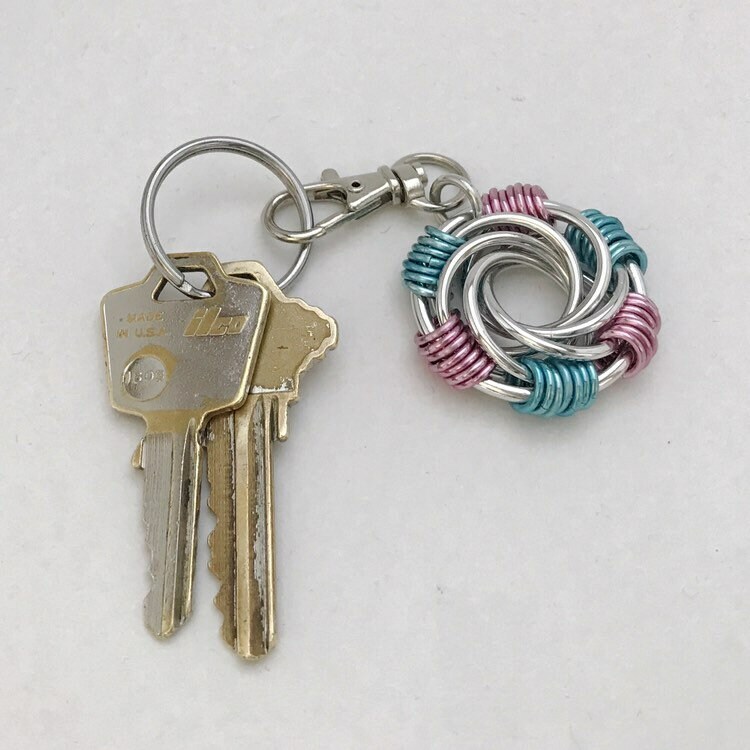 Add a swirly Pride flag to your keys, your backpack, your zipper, or whatever! 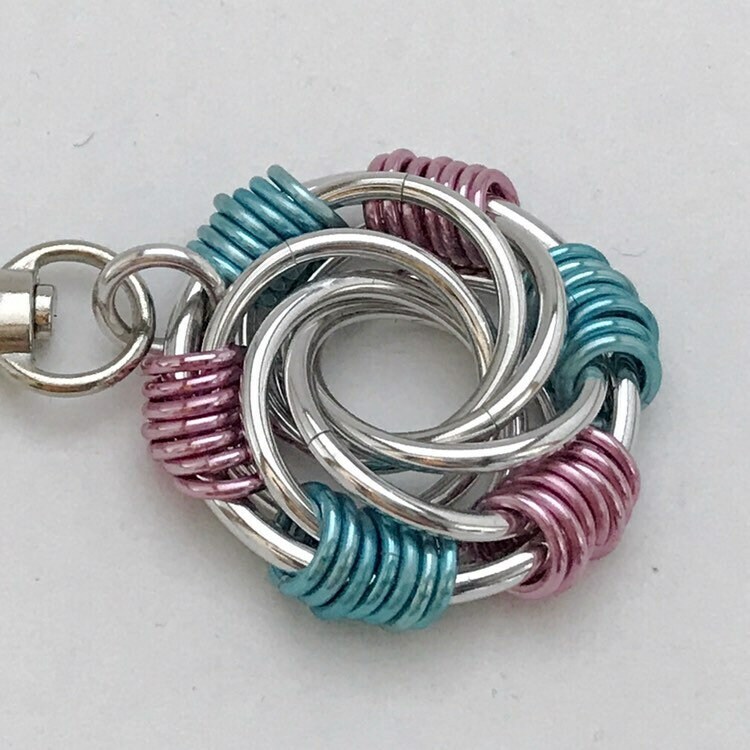 This intriguing chainmaille thingy is called a “Maillestrom” and is an original design by Karen Snyder, handmade by me. 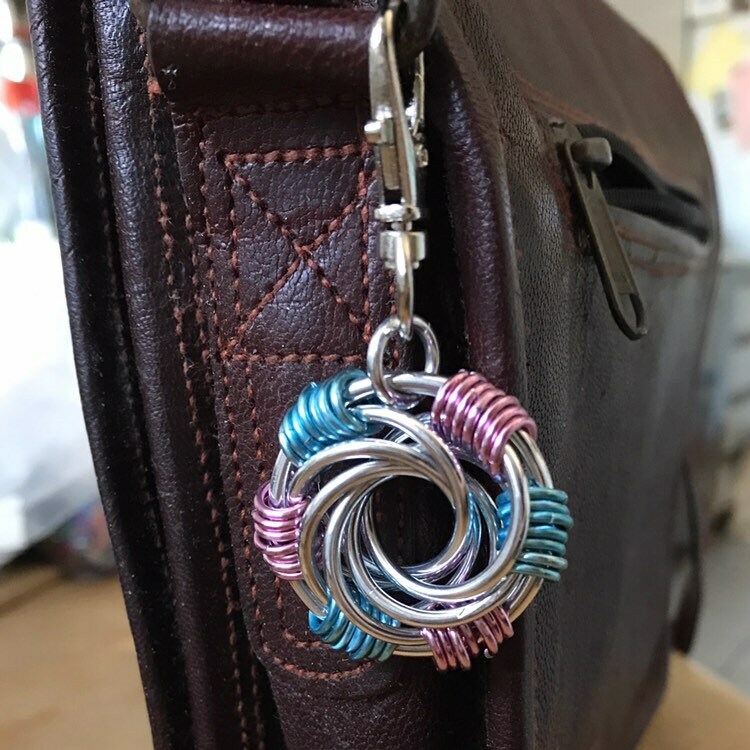 It is made of aluminum and is cheerful, tactile and tough. 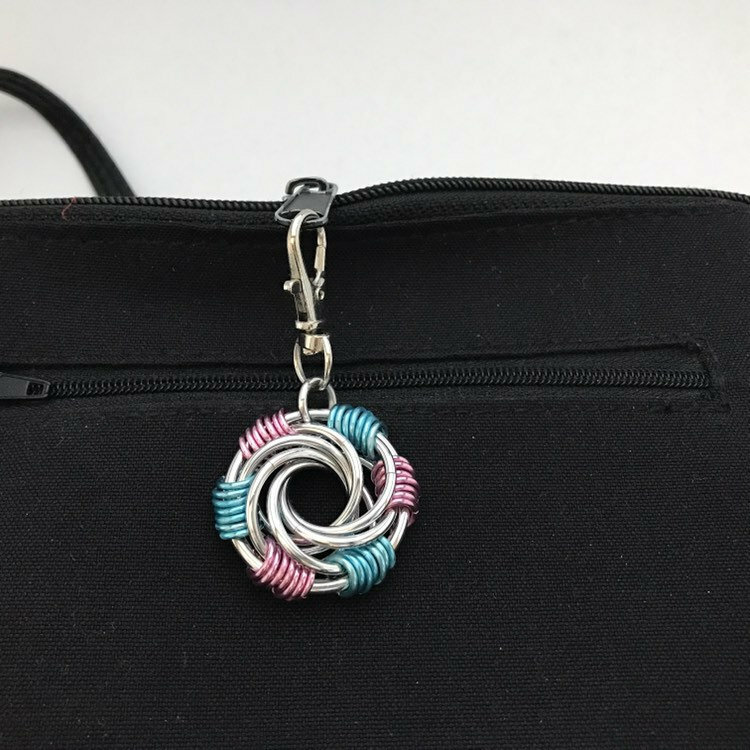 Use the latching swivel clasp to clip it onto anything. 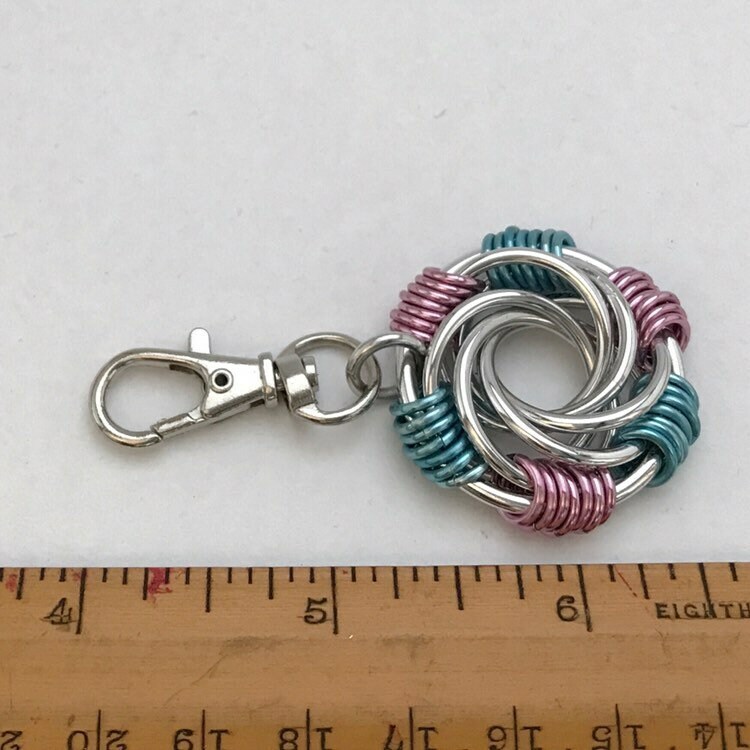 The swirl is 1 3/8 inches across and the overall length with clip is 2 1//2 inches. Orders are shipped by Canada Post, Contact me if you require expedited shipping. If you are in the Greater Toronto / Mississauga area and/or you play roller derby, we should be able to arrange a meet-up, or free delivery via mutual friends. Return your order within 30 days for a full refund. Sorry, I can't take returns on custom orders or pieces with custom alterations. If it breaks, I'll fix it or replace it for free.